These famous German-influenced sausage grain patties from the Greater Cincinnati area have a fantastic flavor and are an absolutely delicious addition to your breakfast! 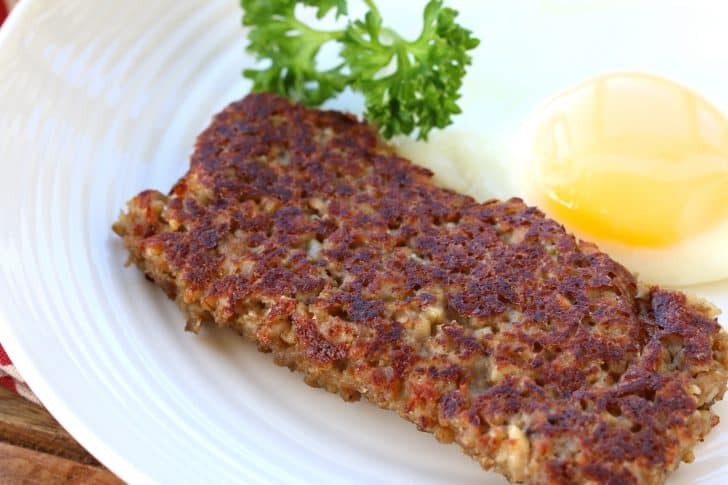 You may not have heard of goetta, but it’s famous. At least it is in Cincinnati where it’s practically a staple ingredient. So much so the people of the Greater Cincinnati area consume over 1 million pounds of it ever year. That’s 450 metric tons of goetta! 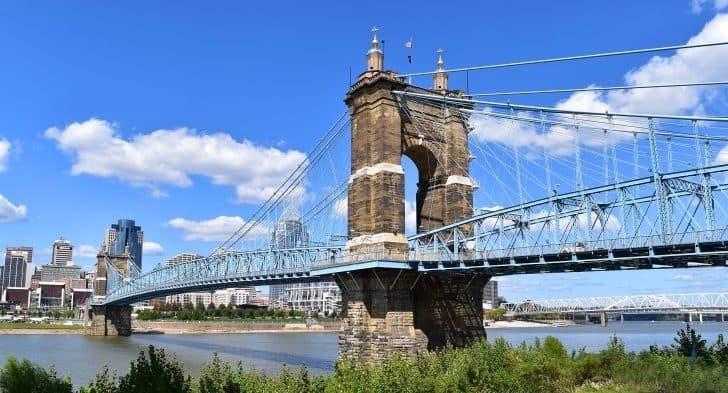 What’s more, there’s even an annual goetta festival, “Glier’s Goettafest”, that’s held every August near Newport, Kentucky and features goetta served every way imaginable. Music, dancing and other entertainment adds to the occasion of celebrating this beloved food as well as the German-American heritage of the Greater Cincinnati area. So what is goetta (pronounced “getta”)? 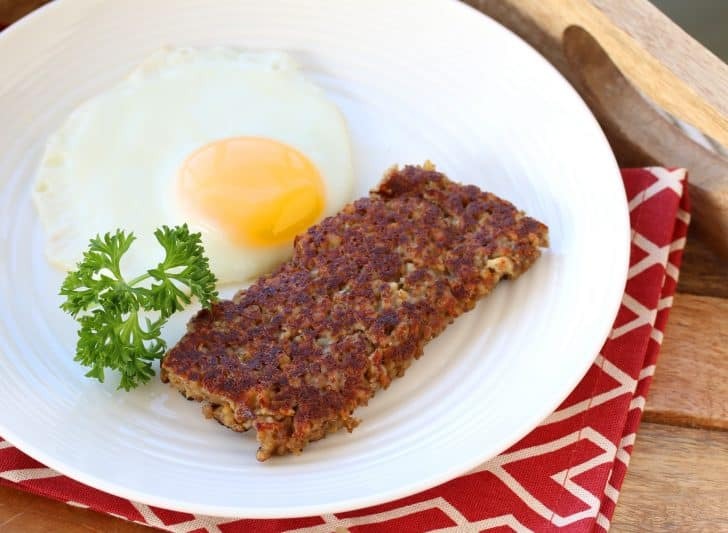 The concept goetta is similar to Pennsylvania Dutch scrapple, Polish kishka and Scottish haggis in that, all these originally being peasant dishes, it was a way to make the most of every part of the animal – to use up the scraps – and to make them stretch to feed the most people possible. In the case of goetta, it was brought to the Cincinnati area over a century ago by German immigrants from northern Germany. While the version in north Germany would have been made more commonly with buckwheat, barley or rye (the grains most prolifically grown in that area), oats were substituted once the immigrants reached Cincinnati (which is the more common crop in that area). Also, the original, peasant German version would have included more animal organ parts whereas goetta is made with the muscle meat only (when the German immigrants reached the United States they found that pork here was much cheaper). There are several key spices in this that are essential to achieving the “old world” flavor that many German meats and sausages are associated with: Mace, marjoram, coriander, white pepper, cloves and ginger. Don’t omit or substitute any of these. Include all of them and once you’ve tasted the final result you’ll be very happy you did! Yes, this can be a point of frustration. 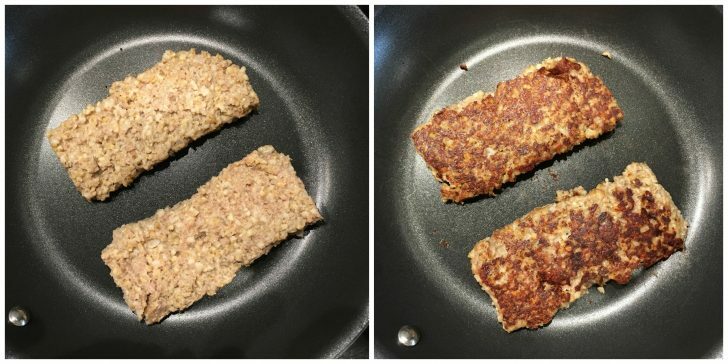 You’ll find forums online of people venting and lamenting and asking for help on how to fry goetta so that it doesn’t completely fall apart in the pan. I’ll say it right now, it is challenging keeping the patties together when you fry them and that’s just the nature of goetta. Goetta is not a firm sausage patty. It’s a fairly soft and loose patty with a browned and crispy exterior. And reducing the amount of water won’t help, neither will adding things like bread crumbs or eggs. That said, there is a way to keep goetta from falling apart and to ensure the patties keep shape. 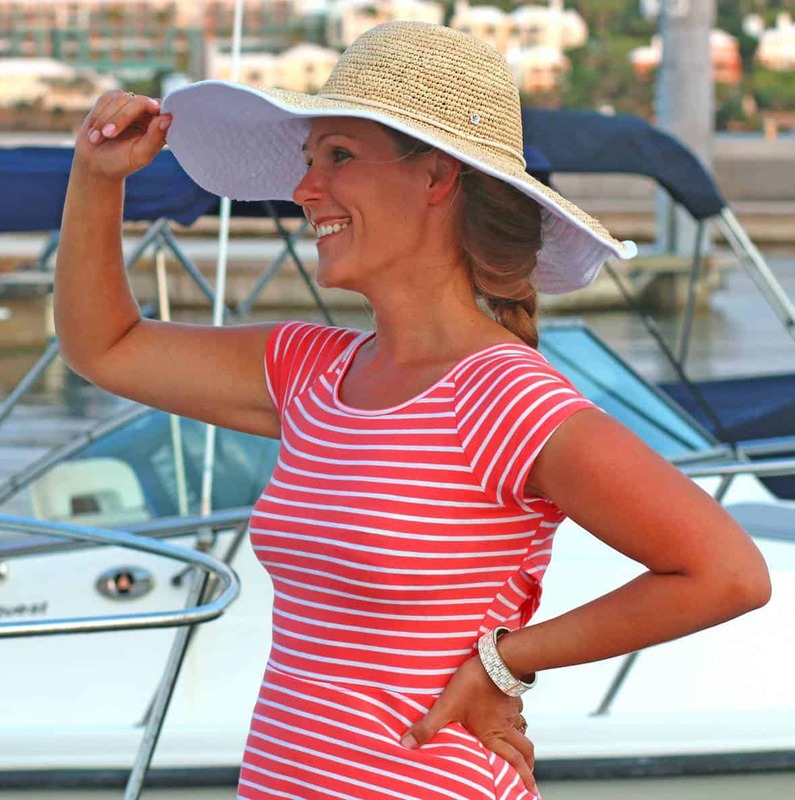 The first key to helping them keep shape is slicing them thickly (at least 1/2 inch thick). The second key is to avoid using any oil whatsoever. Oil will only make it soggier and fall apart more. Just use a dry non-stick pan over medium-high heat. Again, no oil. The third key is waiting until the pan is preheated over medium heat and then letting them fry long enough on both sides to firm them up a bit. Fry them for 5-8 minutes on the first side until the top changes color (it’s very light/almost white to begin with and will become a little yellower in color,) and the bottom is fully browned. Then carefully flip it and brown the other side (this side will cook faster). The fourth key is to avoid pushing or pressing down on the patties. The fifth key is to leave it alone while it’s frying. Don’t push down on it or try to move it before it’s fully browned on the bottom or it will stick. Also, do not to overcrowd the pan. Keep in mind, after implementing each of these tips the patties still won’t be “firm”, they’re not supposed to be. Ignore the imperfections in shape or appearance, just shovel the goetta onto your fork and into your mouth and then chew it with complete satisfaction. 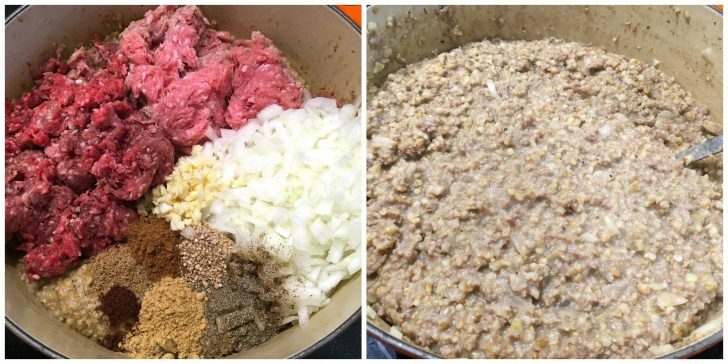 Equipped with these 5 Keys To Goetta Success, it’s time to make some goetta! 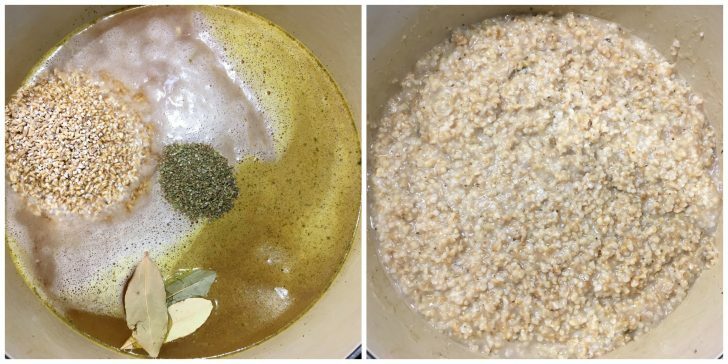 Place the broth, oats, water, salt, bay leaves and marjoram in a large pot. Bring it to a boil then reduce the heat to low, cover, and gently simmer for 90 minutes, stirring occasionally, until it’s soft and the liquid is absorbed. Add the meat, onions, garlic and spices. Return to a boil then reduce to low, cover and cook for another hour, stirring occasionally. If the liquid has not all been absorbed, remove the lid and continue to cook uncovered, stirring occasionally until the mixture has thickened. Pour and press the mixture into 2 (9×5) greased loaf pans and let cool completely. Cover with plastic wrap and refrigerate overnight. To serve, cut into thick slices, at least 1/2 inch (otherwise they’ll fall apart), and fry them in batches in a non-stick pan without any oil. Fry them on both sides for 4-5 minutes or until nicely browned. Serve immediately. 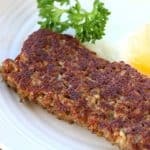 These famous sausage grain patties from the Greater Cincinnati area and of German origin have a fantastic flavor and are an absolutely delicious addition to your breakfast! Place the broth, oats, water, salt, bay leaves and marjoram in a large pot. Bring it to a boil then reduce the heat to low, cover, and gently simmer for 90 minutes, stirring occasionally, until it's soft and the liquid is absorbed. Pour and press the mixture into 2 (9x5) greased loaf pans and let cool completely. Cover with plastic wrap and refrigerate overnight. 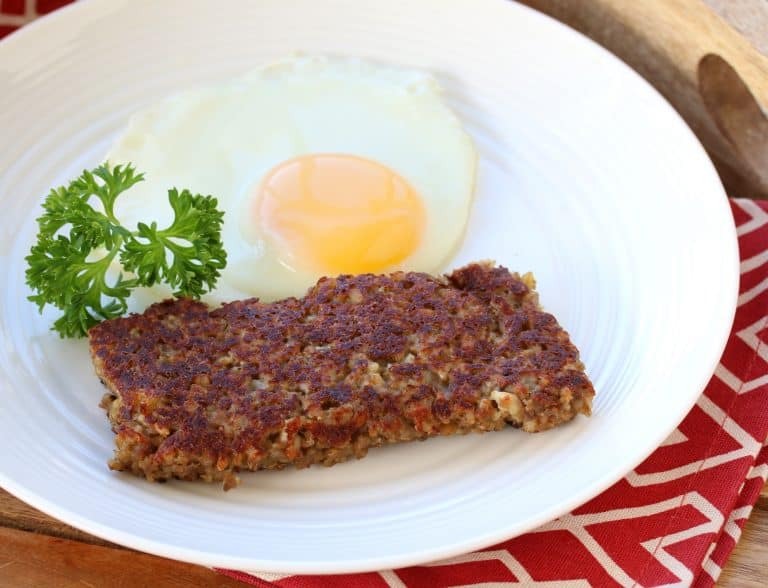 READ THE BLOG POST FOR THE FULL LIST OF TIPS ON HOW TO SUCCESSFULLY FRY GOETTA. THIS FREEZES WELL: Wrap the loaf pans and freeze for up to 2-3 months. Let fully thaw before slicing and frying. Alternatively, pre-slice it and place the slices between wax paper, then freeze. That way you can conveniently grab however many slices you need at a time without thawing the whole loaf. Are the oats added at the start with the broth? Yes they are, thanks Toffeeapple! Serving this in the form of sausage links sounds like a fun alternative, Evelyn. I regularly make sausages so I always have casings on hand. I’ll need to experiment, perhaps increase the meat-to-oats ratio so the sausages are a little firmer. 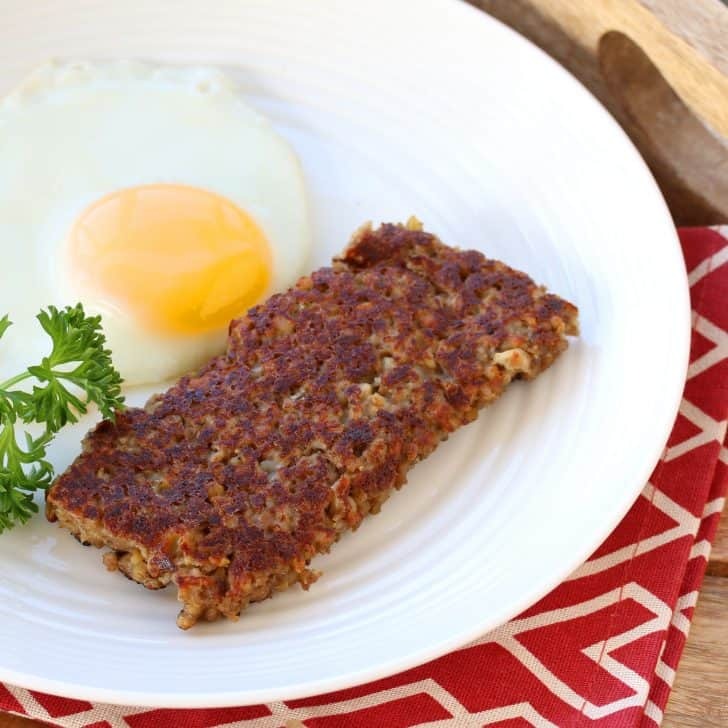 Does your family call it goetta or by some other name? Sounds like what my family made. It was called kishka. A polish sausage. What percentage of beef is used? 80/20? 85/15? Also, could it be made light with turkey? Thanks! Hi Julie, I use lean ground beef, about 90%, but that’s just personal preference. I haven’t tried it with turkey but that shouldn’t be a problem substituting it. I’ve tried several recipes and this by far is my favorite. I love the flavors of the spices. I grew up in Cincinnati and I’ve had my fair share of goetta. This recipe is right in there with the best I’ve tried anywhere. I love the hint of ginger and the mace. My only deviation from this recipe is to error on the side of more pork than beef. Grinding your own meat (course grind) adds a little extra texture. These are just preferences. Also, much debate about stove top vs oven. I prefer oven method in Dutch oven for 3.5 or 4 hours. I find it is easier and provides great consistency. Thank you again! I’m so thrilled to hear that, Steve, and appreciate the feedback, thank you! I have never heard of this before! It sounds so interesting….great job! I would love to give this a try! Looks like it will be a hit with my family. Goetta is so delicious! Great recipe! Such an awesome idea! My family will surely love this! I want to try this for my family. I am sure it tastes as good as it looks! You have the best explanations AND instructions of any food blog I have ever visited. I love your German recipes. Was stationed there in the late 60’s in the Army. Beautiful country. Iron curtain then, but all the people were wonderful. Can you half them is recipe? I do love the explanations and stories you give. Great directions too! Thanks, Shari! Yes you can and simply use one loaf pan. Happy cooking! I’m the only one in my family who will or can eat this kind of food. Even with a half recipe’, I’ll have left-overs. Can this be frozen for later use? Hi Jim, yes, it freezes well. You can wrap the loaf pans and freeze them for up to 2-3 months. Let it fully thaw before slicing and frying. Alternatively, you can pre-slice the loaf and place the slices between wax paper, then freeze. That way you can conveniently grab however many slices you need at a time without thawing the whole loaf. How does this differ from SCRAPPLE—the Pennsylvania/Maryland Sausage? Hi Denning, goetta is made with steel-cut oats whereas scrapple is made with cornmeal, sometimes buckwheat. 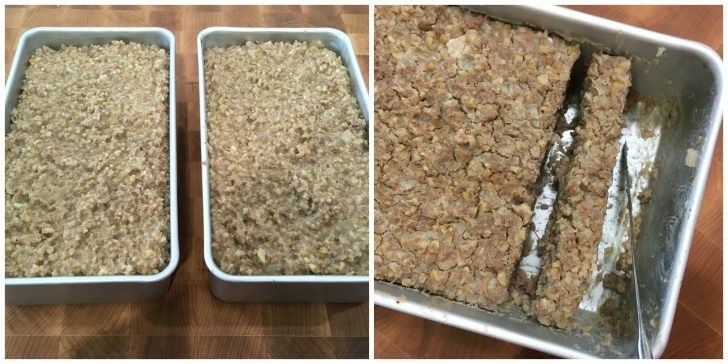 Another difference is that goetta uses strictly muscle meat whereas scrapple also incorporates “scraps” (e.g., liver, heart, tongue, etc). I made Goetta. I thought I would try some German food as that is my heritage. Your instructions were perfect especially pertaining to careful cooking without oil etc. I had to buy some spices but I used them all as you suggested for a great success. Now to try some others that I can’t pronounce:-)! WUNDERBAR! Wonderful, Mary, I am so thrilled to hear that, thank you! This weekend I was looking for lard rendering info and found your excellent post on that from 2017, and it was enormously helpful. Then this morning I started browsing your other posts and found this one and it cracked me up because just yesterday I served my family something called gretzwurst from a local Minnesota butcher shop. I was hoping it would turn out like goetta because the ingredients listed on the package were nearly identical to the recipes I have seen, but it was a sad disappointment. It was watery and mushy, not at all like the crispy brown goetta that I first encountered at a (now closed) little restaurant in Dunedin, Florida. I had never heard of it, but I’ve always been intrigued by regional and ethnic recipes and the first time I tried it I was in love. I researched and found some recipes but never made it from scratch myself and I’ve never seen it in stores until that butcher shop. Your photos of the fried goetta look exactly like what I used to order at that restaurant. With your excellent post, I’m going to give it a try, but maybe a half recipe since my family is now skeptical. In case no one else will eat it, I like your suggestion to another comment to slice, then freeze the slices. Thank you for the compliments, MaryJo, and I’m so glad you’ve subscribed! Hopefully this will restore your family’s confidence after their encounter with that gretzwurst :) Happy cooking! My husband and I are both from Cincinnati but are currently living in California. It’s been so long since he’s had goetta, so I decided to make this for him. I looked for many recipes but this one caught my eye because there were so many ingrediants. He absolutely LOVED it. I will definitely be making this again. Thank you for having such clear explanations! And the pictures really helped as well! I’m so thrilled to hear that, Liz, thank you! I’m so glad you enjoyed it, Nahlah, thank you! Kimberly, I’m from Dayton, but my mother (who was very German heritage) introduced me to Goetta years ago. I’m currently planning a trip to Ohio and was trying to figure out how to bring back enough Goetta. So I was searching for where to buy Goetta and saw the recipes links. I read through a number of other recipes and I just knew they didn’t have enough spice or bite to them. Bland would not be worth the time. But when I read your recipe I knew it was exactly what I was looking for. MY grandfather, and great grandfather and up ran a German meat packing operation in Dayton, Ohio for years until it closed in 1976. There are just certain spices that really compliment the meat (in my humble opinion)! I’m not a big cook, but I just subscribed to your blog. If you can do this, then I want to learn from you how to do many other things. Thank you for a fantastic detailed and accurate recipe. What a mess! Thought I was following the recipe but after 15 min of cooking on low heat the concoction was very dry and sticking to the pan. I was stirring often. I added about 6 oz of water and later added another 6 oz to keep from sticking. Kept overnight in the fridge and it firmed some but still very runny. Perhaps I also added too much ground cloves but the cooked product was very clove tasting and the goetta was lumpy. I disposed of it. I think i’ll wait for the Anchor Grill in Covington for my next goetta meal. Doug, this calls for 8 cups of liquid (64 ounces) to 2 1/2 cups of oats. I can’t imagine how it was dry to the point of sticking to the pan. Something definitely went wrong in the process of following the list of ingredients or instructions. Can I use quick oats in place of steel oats? Hi Kathy, no, they cook at a different rate and create a different texture. I was born outside of Cincinnati, but moved away in 1st grade. However, Goetta has been a part of family meals most of my life. My mother makes it from scratch once or twice a year, and she always freezes / saves me some. At 48 years of age, I’ve never made it myself. Oddly enough, I have never asked my mother for the family recipe. I need to do so. Your recipe is simmering on the stove, and I look forward to how it turns out. FYI… I do know my mother often uses quick oats, which are steel cut / pinhead. Her recipe is basically reversed. She uses a beef roast to create the broth / stock, and meat is finely pulled and chopped. The pork is cooked the same way in a separate pot. This is the greatest time consuming part. The meat and the spices are put back in the strained beef stock and simmered. Oats are added last (I’m sure with water), being quick oats. I’d assume playing with the water / broth ratios, you could probably do something simular here. I only added because I saw someone ask about the quick oats. Fantastic, John, please let us know what you think once you’ve tried it! I love this recipe, I am going to try a poached egg on top of the Goetta, I think it would compliment the flavours beautifully. Kimberly, I usually make mine in the crockpot. Have you tried this recipe in the crockpot? I always play around with spices and am still looking for a magical combination. I hope my husband likes this one. Hi Maria, I haven’t made it in the crockpot but you can probably follow the crockpot method you’re used to using these ingredients. Let us know how it goes! Hi – I made this over the weekend, following the directions to the letter. While it tastes great – the loaf (after being refrigerated overnight) was more mushy/liquidy than I expected. I was worried it was going to collapse into a big blob when I removed it from the loaf pan. Held my breath, and it barely kept its shape when I sliced it. How “dry” and set up should it be? Hi John, it’s not dry at all, it’s very soft and moist. I don’t remove the entire thing from the loaf pan, I cut slices from it inside of the loaf pan and carefully slide them out, then fry. Absolutely phenomenal, the best I’ve had! Thanks also for all the additional tips on frying, those were very helpful. Thank you for this fantastic recipe, my go-to from now on. I’m so glad to hear that, Tim, thank you! Kimberly, do you remove the bay leaves at any point, and if so, when? Also, if you half the recipe, what happens to your cook times? Hi Robert, yes, just discard them at the very end. Cooking times will remain the same. Happy cooking! I made the recipe and it seemed more liquid than I thought it should be when I put it in the loaf pans. When I sliced it to remove it, I should have used an ice cream scoop. Too soft for slices I ended up scooping it into the pan…cooked both sides five minutes on medium heat. It browned beautifully…but when I served it and we cut into it, the center was not crispy at all…it just ooozed out when I cut into it with a fork and I was very disappointed with the result. It seemed to me by putting the lid on the pan it added extra water…I thought I might try next time without the lid at all. I’d like that crispy center instead of a crispy top and bottom and liquid center. Any suggestions??? Hi Chris, goetta does not have a crispy center; it’s a soft and loose patty with a browned exterior. Soft and loose…but mine are crispy on the outside and practically liquid inside…press a fork down and the center squirts out. Chris, I come from a long line of Germans and have been eating homemade Goetta since I was a child (69 years ago), your meat mixture should not be overly wet. You need to cook it a bit longer, stirring often to keep it from sticking, until it’s rather thick to the stir. It may take you a time or two to get the feel, but hang in there you won’t regret it. Thanks…will use up what we have and try again…do think I’ll use a bit less water and broth…in the hopes it improves the inner texture. Will report back once I do that. So excited to try this. I grew up in Cincinnati but have lived in California for 25+ years.